Started today, January 29th. For five days only, ending February 2nd (Monday). Two of my titles are free for Kindle on Amazon via KDP promotion. Please download them, read them, if you like them, consider leaving a review. There are SIX (!!!) short stories contained in the two titles. See the previous post for a description, or check out the Amazon book page for that same description. They’re more or less flash fiction pieces. The longest clocks in at something around 1800 words, if I recall correctly. 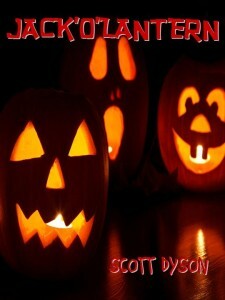 This entry was posted in Uncategorized and tagged Amazon, ebooks, Free, KDP Select, Scott Dyson, self-publishing, short stories on January 29, 2015 by Scott Dyson. I’m running a promotion on two of my titles, THE GATEWAY (with AMERICA’S PASTIME and HOT SPOT) and JACK’O’LANTERN (with THE MOMENT and SARAH’S PUPPY). They will be free starting on Thursday January 29 for five days. The promo ends on Monday, February 2. As four young wanna-be Halloween vandals terrorize the far side of their neighborhood by smashing pumpkins, they encounter a jack’o’lantern that is by far the biggest and ugliest pumpkin they’ve seen this night. But this pumpkin is more than it appears. And a short author’s note. Please feel free to download them, starting Thursday January 29. Thank you! 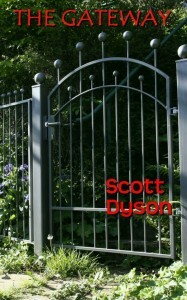 This entry was posted in Uncategorized and tagged Amazon, KDP Select, Promotions, Scott Dyson, self-publishing, short stories on January 27, 2015 by Scott Dyson. I just thought a quick post updating the book pricing might be interesting. A couple posts back, I wrote that Amazon’s ebook price for DARK CITY by F. Paul Wilson was $8.54, more than my arbitrary max for a fiction ebook for myself. So I waited. I received a ten-dollar gift card from Barnes and Noble for Christmas, and yesterday I went into their store to browse a bit. There was DARK CITY, retail price $8.99. With my 10% member’s discount, it was already down to $8.09, less than the ebook price. Okay, you might say that I already paid for that $0.90 discount with the $25.00 membership fee, and you’d be correct. But then I also had a 20% coupon that came via email that day. When I was not a member of B&N’s program, I rarely received coupons, and almost never received 20% coupons, except maybe at Christmas. Plus, the $25.00 is a “sunk cost” whether I buy the book from Amazon as an ebook or from Barnes and Noble as a trade paperback. Now watch: I’ll go to Amazon next week and DARK CITY will be $3.99. This entry was posted in Uncategorized and tagged F. Paul Wilson, fiction, Personal, physical books on January 16, 2015 by Scott Dyson.